This holiday weekend was undoubtedly a welcome respite for many people, but for one Middle Eastern leader who didn't celebrate Christmas, it was politics as usual. Iran's Ayatollah Khamenei condemned America about Ferguson on Twitter, injecting himself into the flared debate on race and police brutality in the U.S. 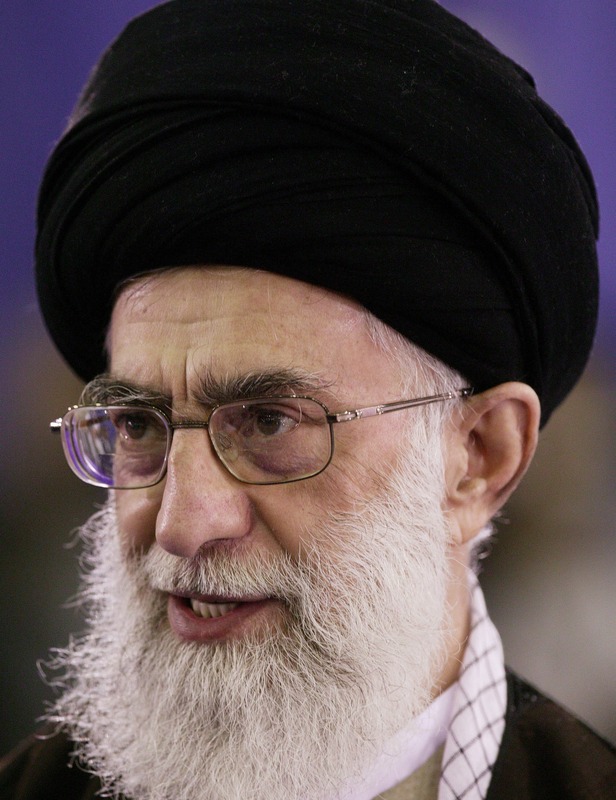 The Supreme Leader of Iran took to the social media website in a series of disjointed rants that seemingly likened Gaza to Ferguson, cited the sufferings of Jesus Christ, and criticized the oppression of the black community in the U.S.
Ayatollah Ali Hosseini Khamenei, Iran's chief political and religious leader, in his tweets acknowledged Jesus' place in Islam, and then proceeded to compare his struggle to that of the minority communities in the U.S. Some of his tweets included the hashtag #BlackLivesMatter, the slogan that has become a rallying cry for protestors in the U.S. who are pushing back against racism, police violence and a broken criminal justice system that handed no-indictment votes to two white police officers who were responsible for the deaths of two unarmed black men. Over the past few months, the men, Michael Brown and Eric Garner, whose deaths sparked roiling protests, have shocked the nation into witnessing the realities of unjustly and overtly violent policing in minority communities. Khamenei's tweets about Ferguson began on Christmas Eve and continued on to Sunday. While it is Khamenei's prerogative to publicize his beliefs — and I'm sure he meant well on some level, calling for an end to the oppression of both Gazans and persecuted minorities in the U.S. — but lumping the struggles of Gaza and Ferguson together, while instantly vilifying the U.S. and Israel, as he is won't to do, is detrimental to efforts in engaging both sides on respective issues in actual, meaningful dialogue. Such black and white casting hints at a lack of, or a refusal to, understand complex, deeply-seated societal and political issues, and leaves no space for compromise. Attributing an automatic hero and villain to the problems in Gaza and the U.S. seems counter-productive. But politicians often run their mouth, and as sad as it is that often what they say can't be taken seriously, Khamenei's tweets are significant for proving that, if anything, all eyes — even those in the Middle East, who unquestionably have serious issues of their own to deal with — are on the U.S., and how race relations here will play out after a stormy end of the year will be closely scrutinized.